Q. What, of your products, do you recommend as a penetrating sealer for driveway application? What is the compound inherent to that sealer, e.g., silane, silicate, siliconates, siloxane, silicone, or other? How deeply does it penetrate into the concrete? 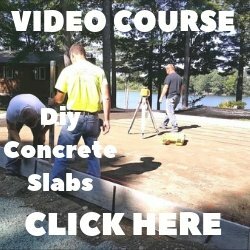 What is the application rate for a new concrete driveway? How many applications are recommended? What is the life of the sealer? What is the cost per 5 gallons? Does that include freight charges, taxes, etc.? Can it be purchased locally? 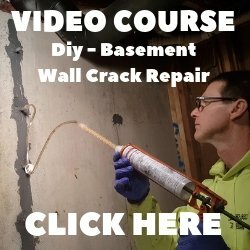 What is the best application method, and is it a DIY material? A. RadonSeal makes a great DIY Penetrating Sealer for concrete. It can be used on concrete driveways, patios, pool decks, stamped concrete and walkways. It is a silicate based penetrating concrete sealer. Meaning it's an internal reactive sealer that penetrates up to 4 inches into concrete, chemically reacts with alkalis and hardens as a mineral. It's like injecting cement into the pores. Provides the tightest seal in concrete against water, vapor and gases. Driveways and outdoor concrete like sidewalks, patios, decks, and parking areas are exposed to severe conditions: rainwater, groundwater, repeated melting and freezing, road salts or deicers, and the settling of gravel and soil. Outdoor concrete becomes porous very quickly and allows in more water. Pores in concrete soak up rainwater from above and groundwater from below just like a sponge. When the water freezes, it forcefully expands (by 9 percent) and cracks the concrete. The freeze-thaw cycle causes pitting, spalling, and cracking. Chloride ions in salts and ice removers, particularly with ammonium, attack the concrete chemically. Water makes rebar rust, which cracks the concrete. Water erodes the sub-grade and its settling causes structural cracks. If you deep-seal all outdoor concrete with RadonSeal, it strengthens the concrete and seals it against rainwater, groundwater, and chemicals. The surface does not change and remains non-slippery. Best of all – it is permanent! If you would like a water-repellent surface that beads, use their DryWay Water-Repellent Sealer. Since it seals below the surface, it resists UV-rays and the surface normally sheds water for over 10 years. It can be applied after permanently deep-sealing the concrete with RadonSeal. You can purchase these product from their website and have them shipped to your home.